Who I am and what I offer … ! Bridie (107) joins the “lost tribe” of Galway! Best current affairs blog in Ireland! Challenge your brain for Liam! Truoctran.com on Double finalist at the Irish Blog Awards! 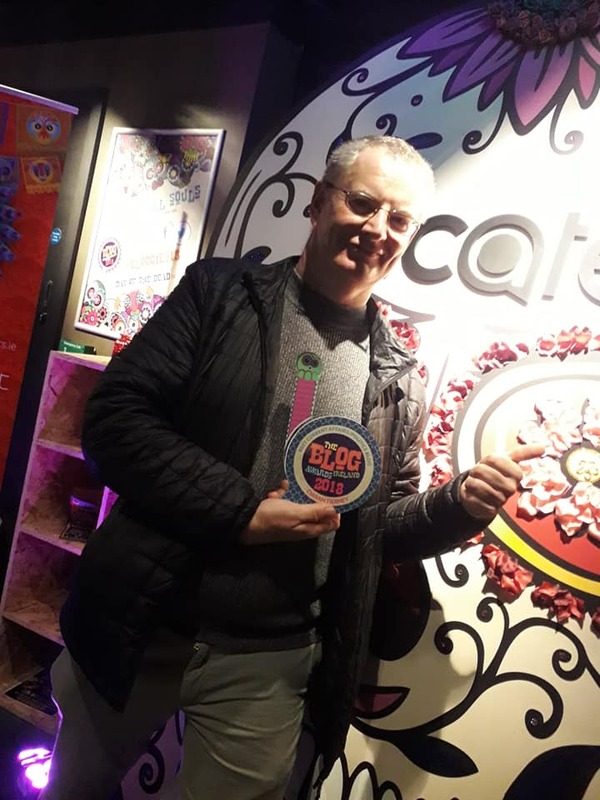 Celebrating the Best Current Affairs Blog in Ireland award 2018 at the Tramline in Dublin on Thursday night. Photo: Paul Sherwood. 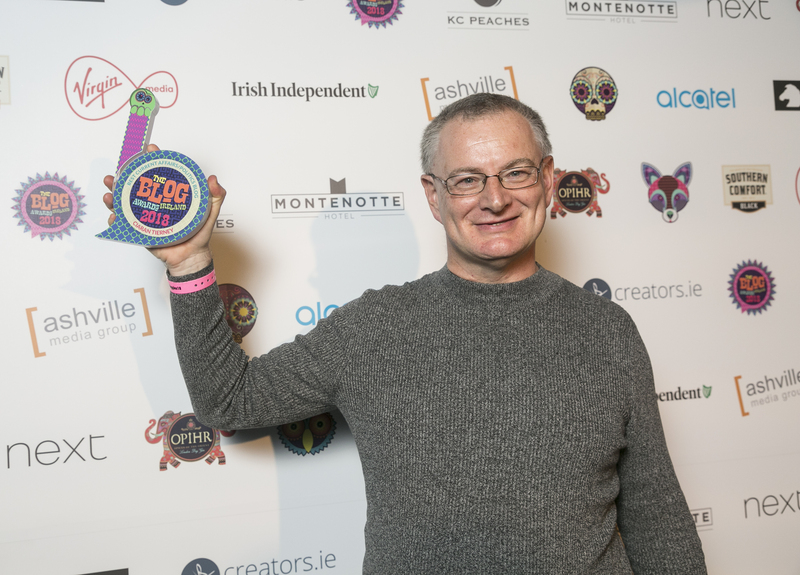 The annual Blog Awards Ireland event took place in Dublin city centre on Thursday night and I was thrilled to be awarded first prize in the Best Current Affairs / Politics category, after coming second last year. After flying in from New York that morning, where I had met ‘Tuam Babies’ survivor Peter Mulryan, I was over the moon and slightly shocked to take the gold medal. By a wonderful coincidence, I also won second prize for the Best Blog Post for a piece I wrote about Peter’s search for justice for his little sister – one of the 796 missing babies – after meeting him in a Galway graveyard back in March. It was a thrill to discover that 1,200 blogs had entered the competition, in all categories, for the prestigious awards and that my blog had gone through three rounds of judging in order to win the top prize. The final round was judged by media, journalism, and PR professionals, which gave me a huge boost as my path has not always been certain since I took voluntary redundancy from one of Ireland’s leading regional newspapers, The Connacht Tribune, four years ago. After writing a travel blog which was very warmly received during a career break in 2010, I set up my blog in August 2014 in the midst of great uncertainty and a crisis in my industry. My blog did not have an exact focus at first, but I felt it was important to keep writing in the wake of redundancy from the newspaper in which I had worked for more than 22 years. It has allowed me to reach a whole new audience and provide a platform for groups such as the ‘Tuam Babies’ families and survivors, victims of clerical abuse, the Shannonwatch protesters, anti-racism and homelessness activists, who feel they do not always get adequate or fair coverage in the mainstream media. Sometimes blogging can be a lonely occupation, but it’s fantastic to get such wonderful recognition from my peers. The voices of the voiceless need to be heard at a time of so much injustice, inequality, and suffering in Ireland, and the rise of racism and populism, both in Ireland and overseas, is a cause of huge concern. I dearly hope to return to full-time journalism at some stage but, in the meantime, I am absolutely thrilled that my humble little blog has received recognition at a national level. I am also available for ‘ghost’ blogging for companies who believe they have a story to tell and I would love to find a sponsor to make my weekly rants more economically viable. Thanks to everyone for the support and well-wishes in recent days. 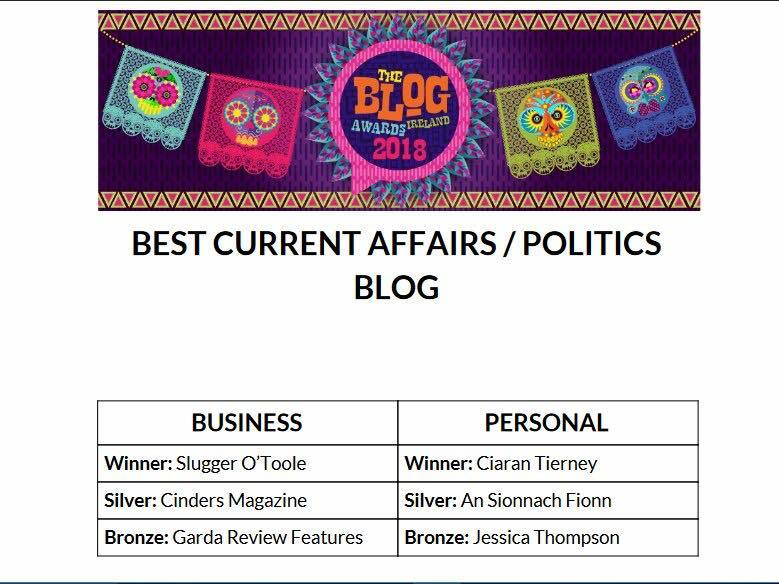 Congratulations also to the Slugger O’Toole crew from Belfast, who won the Best Business Current Affairs Blog, and to my former Galway journalism colleague Jessica Thompson who came third in my category. I can be contacted at ciaran@ciarantierney.com. Power to you and to the individuals and groups you support. Congratulations Ciaran. From all of us in Nicaragua whom are currently entrenched by journalists printing the embedded, propagandist, and salary enslaved lies and fake news. Your blogs as an independent journalist, turns a flicker of a candle into a becon of light! Stay true to your principles and true to the truth. We look forward to the days when your rubbing shoulders with the greats in your industry such as Robert Fisk and John Pilger! Previous Previous post: Challenge your brain for Liam!